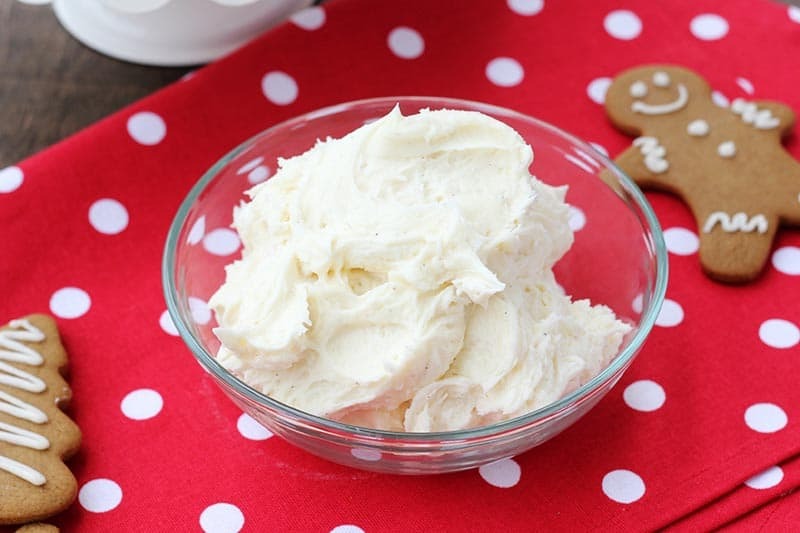 Perfect Holiday Eggnog Buttercream. 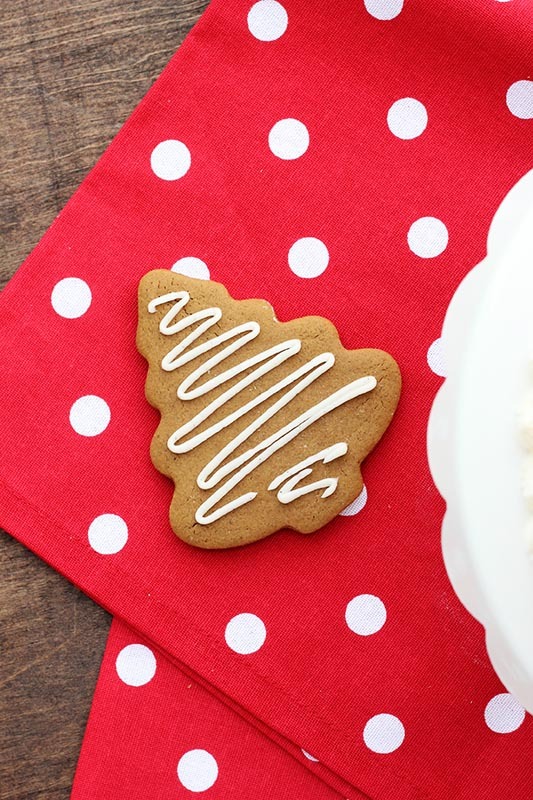 Combine soft butter with powdered sugar, chilled eggnog, a pinch of nutmeg, and rum extract for a decadent frosting recipe. I am in love with eggnog. Or, er, the idea of eggnog. In reality, I probably could not gulp down a glass but when you pair this fabulous flavor with gingerbread you have got me hooked. What should you serve this on? Absolutely everything (according to my 8 year old). 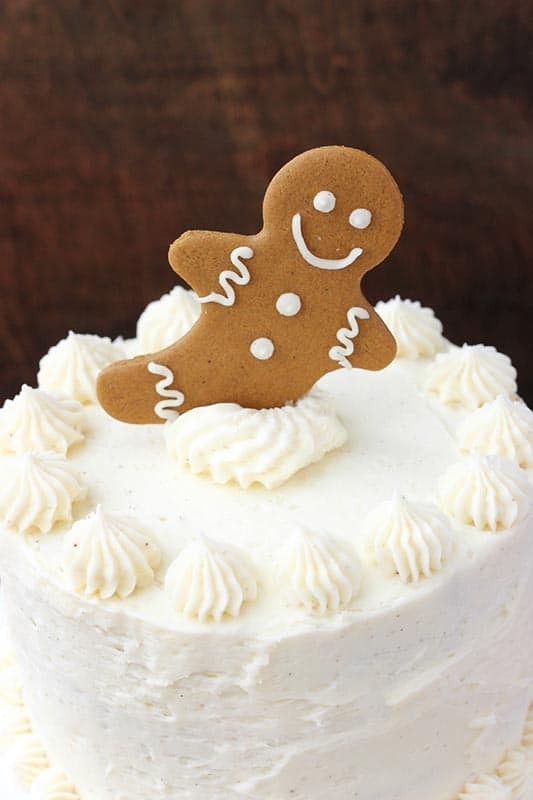 I took our go-to frosting recipe and substituted eggnog making this the perfect holiday cake topping. After slicing into a fresh made gingerbread cake we had smothered with the sweet stuff my son was too quick to exclaim this is THE BEST OF ALL TIME. It blew his mind when I revealed the secret ingredient and he decided that maybe eggnog isn’t too bad after all. Even if you tend to veer away from anything eggnog we strongly encourage you to give this a try. 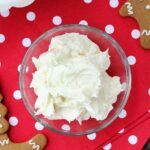 The pinch of nutmeg gives the buttercream just the perfect hint of holiday cheer and if you’re feeling a little brave we suggest adding a dash or two of rum! 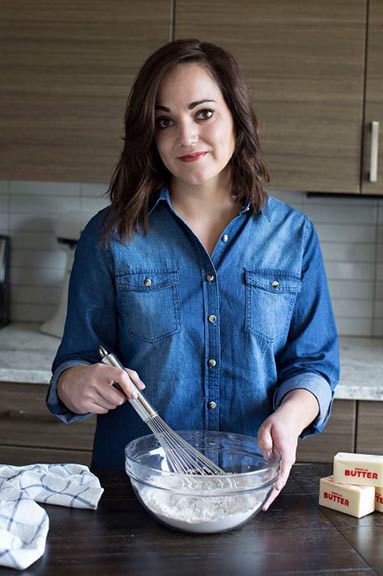 Whisk together your butter, vanilla, and nutmeg in the bowl of an electric mixer until smooth. Add the powdered sugar one cup at a time. Slowly pour in the eggnog and whisk until fluffy. Add rum if using. Stir until combined. Buttercream too stiff? Add additional eggnog, one tablespoon at a time, until the desired consistency is reached.